In this tutorial I'll explain the difference step and techniques I used into this project. The main goal was to improve my skills in modeling and rendering. As a hard surface modeler, a car with nice curve, sharp edges and details is a big deal, so I jumped into this project! For the rendering part, I was used to do clean studio rendering but I wanted to go further this time, achieve something more ‘'advertising/selling'' like. So let's jump into it. 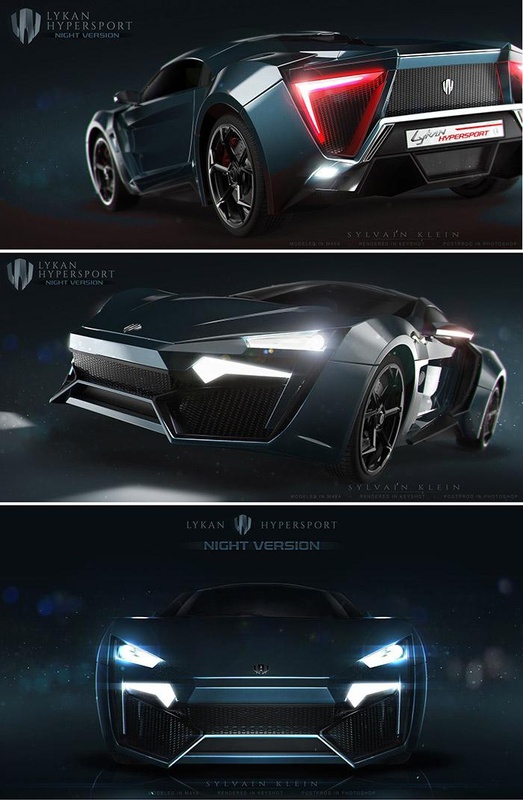 This beginning part of the project was quite difficult because the Lykan Hypersport is a very rare car. I couldn't find any blueprints for it so I had to settle with a couple of side view images and a few of the different parts and details. However, not all of the parts were the same on all the photos, so I made a few tweaks here and there, choosing different bits from different photos. Using Maya I started the modeling process. 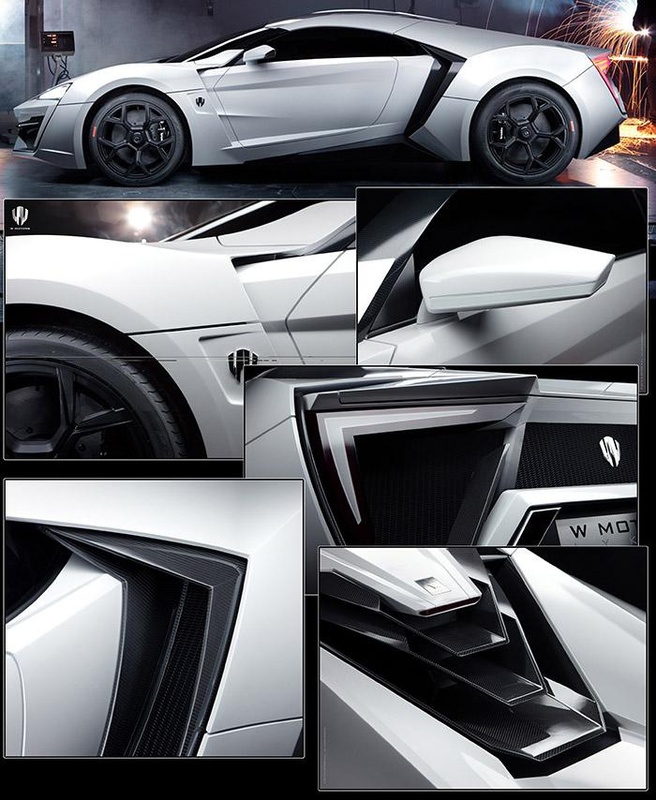 I personally think that the best way to tackle this kind of car is to start with the wheel arches. This allows you to use the edges of the arches to build up the body of the car. I used a top down photo to get an idea of the width of the car. Of course you only really need to model one side of the car because you can mirror and copy the other side! The hardest part of modeling body shell is to combine the hard edge and the smooth curvy surface. To have a hard edge you need to have 3 edges near each other to force du smoothing to go on your way, but these extra edge loops may add some curvy surface issue elsewhere. This is the tricky part, dealing with the need of more edge in some place and less edge elsewhere, you have to be smart, clean as possible of course, but sometime having triangle polygon will help a lot and not causing to much problems, so let's solve some issues with it. Bonus Tip: Model your parts as if you were making them in real life. For example, if you have a part that is made up of two separate pieces you should model it as two separate pieces. If a large complex piece is a single whole piece then try your best to model as one. I regularly see modeling where a detail is modeled as one single mesh and the two separate parts are visually separated by two different shaders. You should try not to do this because it looks messy and untidy. Tire modeling is pretty similar to modeling one soft form to another. Basically you create a plane and model the shape of the tire lines on to it; once the entire plane is ready I prefer to bend the external edges by hand. 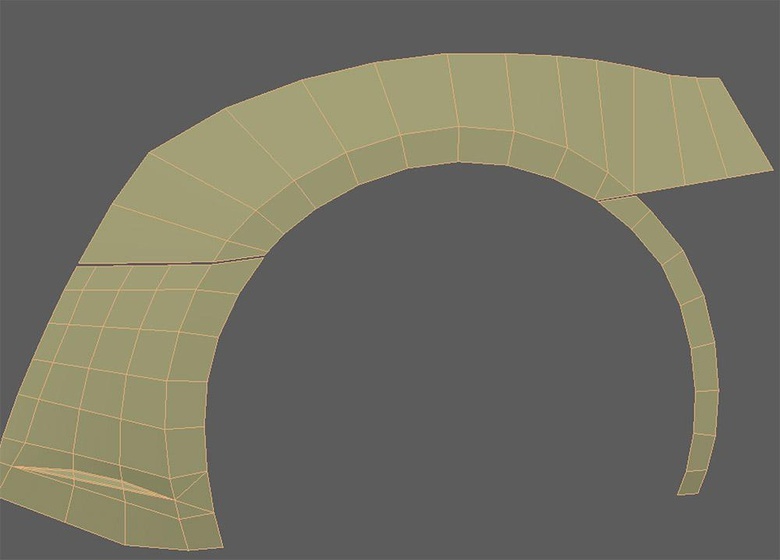 After that I like to use the Bend modifier in Maya to circle and bend the tire into its final l shape. Once the modeling is finished I import my objects into KeyShot and setup the resolution and the view. Then I create a new camera and lock the camera when I am happy with the final view. 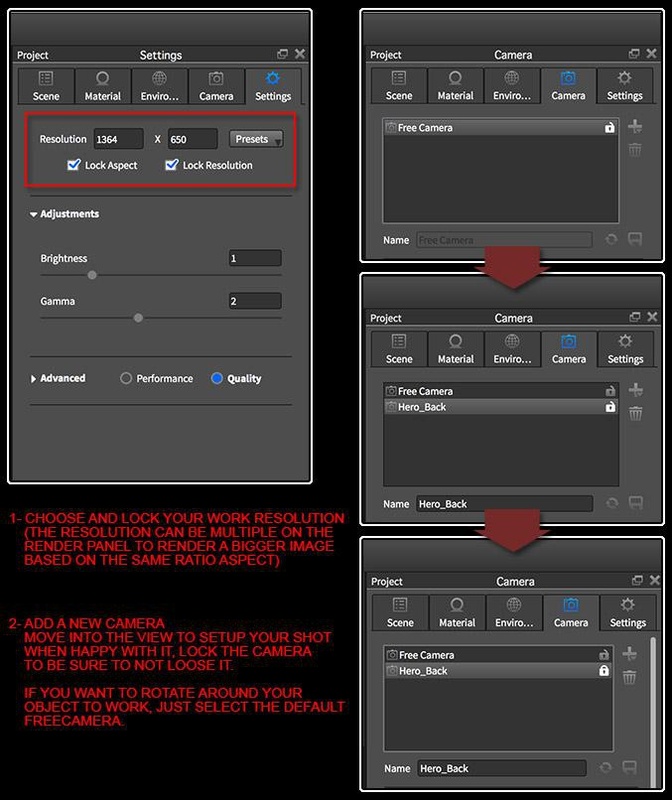 Going back to the free cam you can rotate it around your model without losing the saved view. Then you can apply the shaders. I haven't used a specific shader here; just a simple metal paint for the body, a rubber material for the soft plastic parts, a shiny black plastic, a tire shader and a chrome metal. Nothing too special! I also added some area light shaders for the car's lights. For this project I decided to create my own HDRi inside of KeyShot, using the HDRi creator. 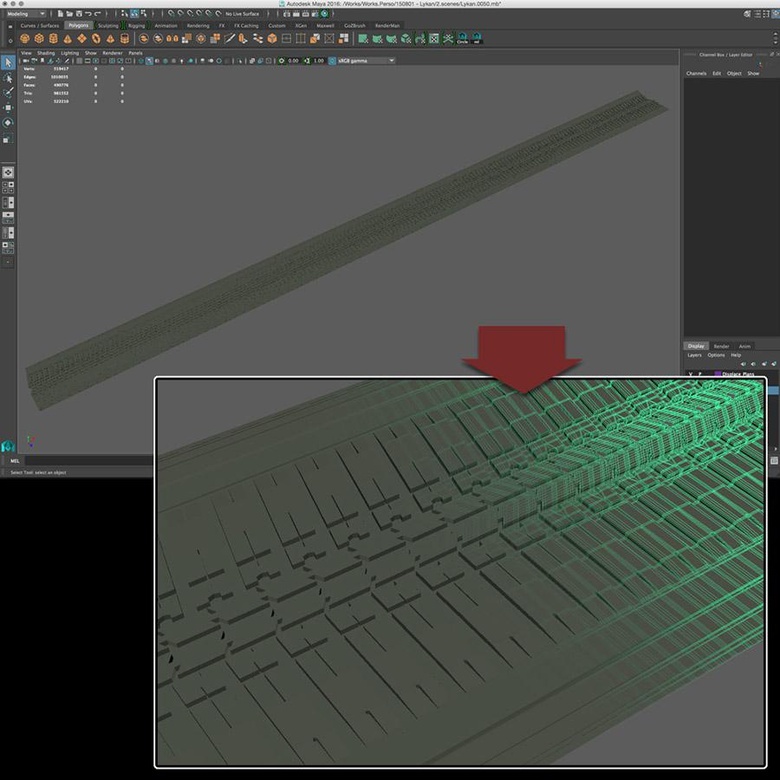 To get to this tool you go to the environment panel, click on « edit HDRI ». 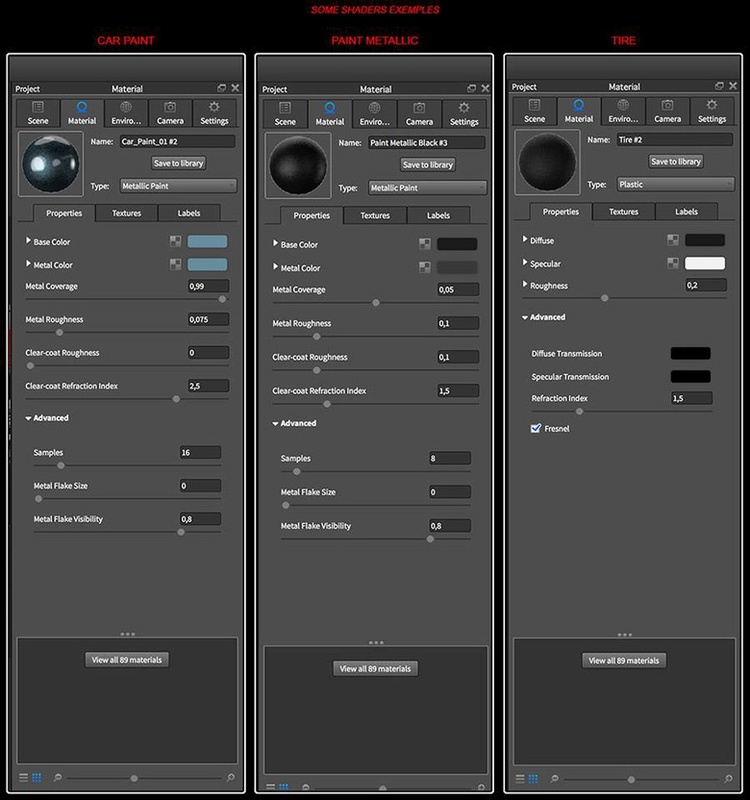 In the new window you can add any lights you might want and move them into the HDRi to light your scene. There is a nice feature to allow you to create a light directly by spotting on your model where you want to light by clicking on « Set Highlight » button. Nothing special for the rendering itself, just the basic stuff. The interesting part is the render passes. Check the ZDepth pass and the Clown pass. The Clown pass will produce an image with flat unit color for each shader. It's really helpful for post processing. I did a little video where you see all different lights creation and post processing passes for each render I did on this project – you can find it here. Here is the final render of my car and we have come to the end of my making of, I hope you like it.